[Packer] says Shakespeare didn't understand women in the beginning of his career. "I think something happened, somewhere around Love's Labour's Lost and the early history plays and going into Romeo and Juliet. Either he fell in love or he just grew up, but something happened to him where he suddenly 'got it' about women and there was a profound shift in his writing," she says. "You see it in his first full blown version, in Juliet herself. Through her he began to take on what it meant to be a woman." Packer reckons it took Shakespeare about three years of professional writing to reach that point. The change is particularly noticeable when comparing Kate, the unfortunate subject of The Taming of the Shrew, to Beatrice in Much Ado About Nothing. Both women are being wooed, but while the sparks fly verbally between Beatrice and Benedick, Kate and Petruchio get physical. "Beatrice and Benedick begin sparring, much like Kate and Petruchio do, but the outcome is so profoundly different," she says. Packer says putting [characters like As You Like It's Rosalind and Twelfth Night's Viola] in trousers . . . allowed Shakespeare more freedom in creating important roles for them. 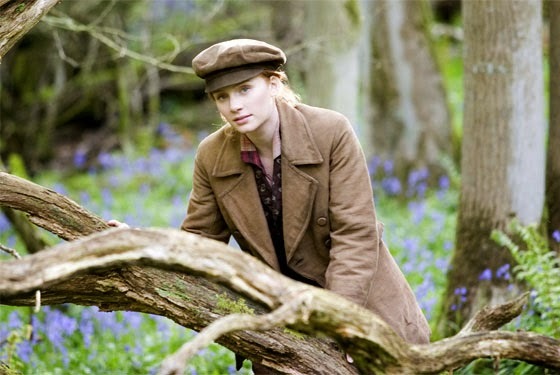 Bryce Dallas Howard as Rosalind in As You Like It. "They start becoming the characters in the plays who are telling the truth about what's going on," she says. "If they tell the truth and stay in their frocks, they're killed or they run mad and kill themselves. "But if they disguise themselves and go underground, they not only can have their voices, they can organise society and it all ends up terribly well," she says. In some plays, Shakespeare goes "goes into this dark place where the women want the same things as the men." "Think of Lady Macbeth, Volumnia in Coriolanus, and the eldest daughters in King Lear. What happens when the women are as ambitious as the men? It's terrible." Tina Packer says one of her favourite characters is Paulina in The Winter's Tale. "I love the way she keeps telling the truth, come what may, and is fearless."